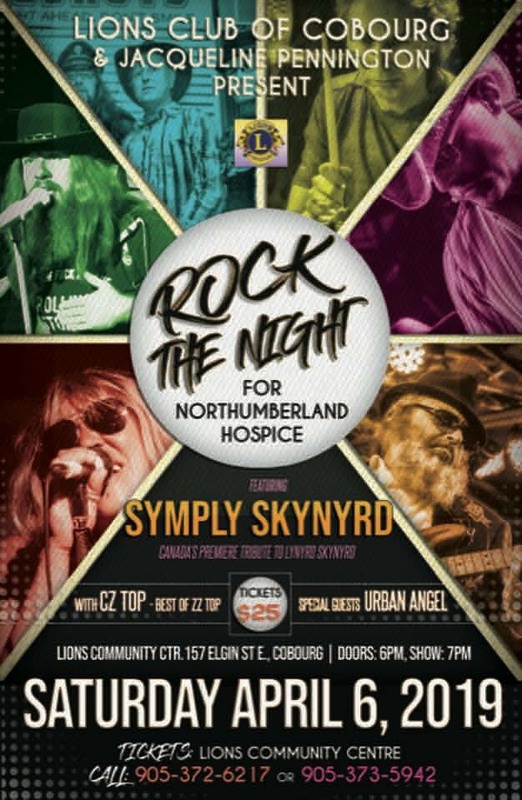 Symply Skynyrd and CZ Top will team up again to perform for a fundraiser for the new Cobourg Hospice! Saturday April 6, 2019. Doors open at 6pm. First band goes on at 7. At the Cobourg Lions Community Centre.